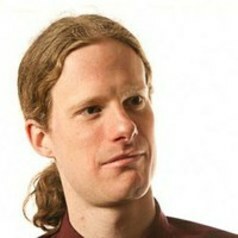 Matthew Machin-Autenrieth is an ethnomusicologist based at the University of Cambridge. He completed his PhD at Cardiff University in 2013 and now holds a Leverhulme Early Career Fellowship (2014-17). His current research project focuses on flamenco's relationship with intercultural dialogue in contemporary Andalusia. Flamenco is often viewed as a product of Andalusia’s Islamic and multicultural past, a period when Christians, Jews and Muslims supposedly lived in convivencia (coexistence). While sometimes viewed as a utopian myth, convivencia is invoked as a model for multiculturalism and is an important component of Andalusian regional identity. Yet, the increasing number of North African immigrants in Andalusia complicates any reading of regional identity that is based on an Islamic and multicultural past. These immigrants often face antagonism, social exclusion and racism. Matthew examines how this past is musically reimagined in the present, and explores how flamenco serves to negotiate difference between Andalusians and immigrants. In particular, he focuses on a genre called flamenco-andalusí, which combines flamenco with Arab-Andalusian traditions that still exist in North Africa. Such collaborations bridge the divide between Andalusians and immigrants by invoking a shared cultural history. Using ethnographic research, he addresses the significance of these collaborations in light of debates regarding immigration, multiculturalism and regional identity.